The Isle of Mull on the west coast of Scotland is a very beautiful place. The landscape is varied; mountains, sea lochs, forests and wonderful sandy beaches are all to be enjoyed. It is also rich in wildlife and whilst I am not a nature photographer there are times when I would have liked a long lens in my bag. Eagles, otters, red deer, seals and an abundance of bird life are all to be seen if you have the patience and know where to look. The island is a sparsely populated place and the single track roads with passing places slow the traveller down – the pace of life is just as I like it. Apart from Tobermory, which is the only town, there are a just a handful of hamlets and the remaining dwellings are well separated. Solitude is easily found on Mull and this feeling of isolation is depicted in the three images shown here. 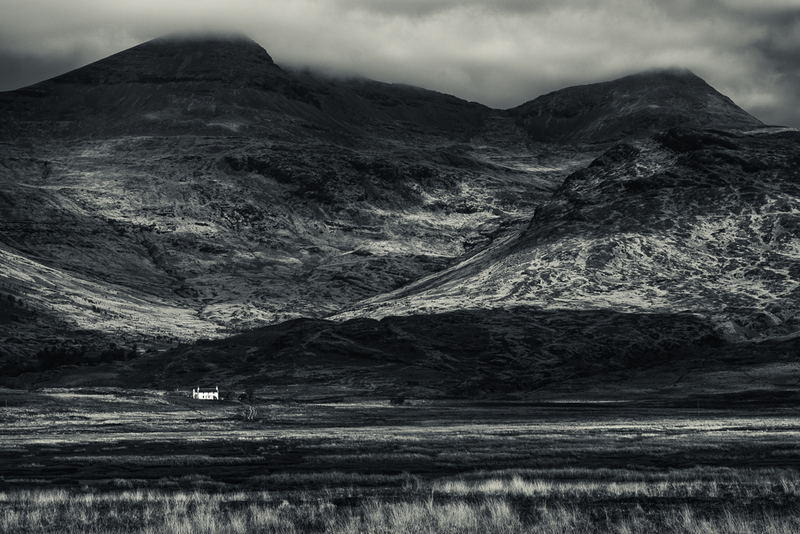 The first shot is of a single storey cottage in Ardtun on the Ross of Mull. The tall grasses in the foreground have been thrown out of focus, and if you were to crop away the top third of the image you would be left with a very abstract picture and it would be hard to make out the true subject matter. I particular enjoy this effect. The second image is of a white rendered house, set all on its own at the foot of a mountain range which includes Ben More – the only Munro (a mountain in Scotland over 3,000ft) on the Isle of Mull. Fast moving clouds render the mountain range and the middle ground with a combination of light and dark shadow areas. Waiting for a cloud to darken the immediate backdrop around the lone dwelling has highlighted the mail focal point of the shot and isolation is very evident. The third image in this short series shows an abandoned caravan of which there are a number on the Island. 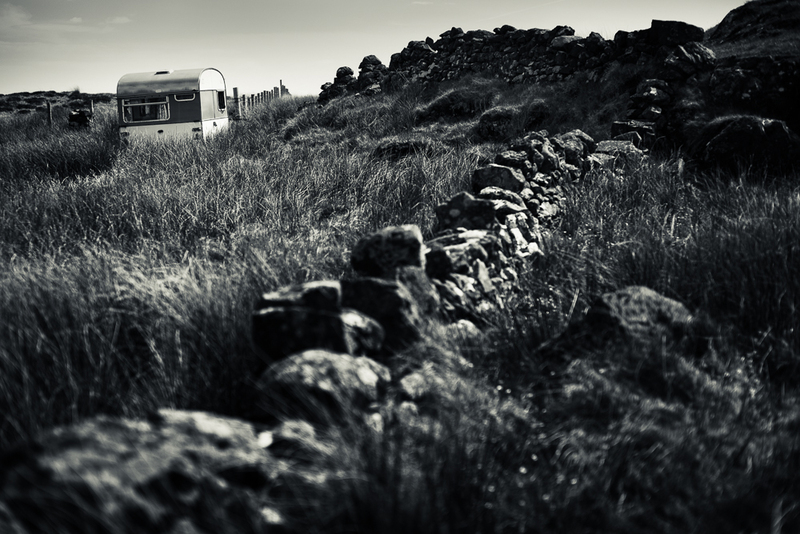 Surrounded by overgrown grasses, an interesting ‘s’ line is formed by the stone walling and the post and wire fence which leads your eye to the horizon and back again to the caravan. The strong winter winds will eventually destroy what’s left of a now forgotten temporary and isolated home. To best appreciate these pictures please click on each one in turn to view a larger version which will open in a new window. Beautiful photos. This sounds like such a wild and peaceful place. Thank you. It is wild, peaceful and beautiful – a great combination. 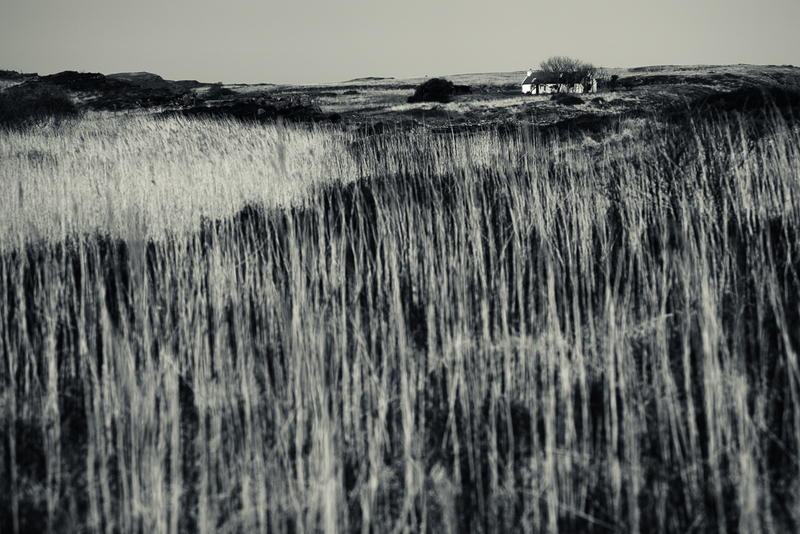 More images of the Island to follow soon….. It is….we first visited the Island over 20 years ago and its hardly changed. Longing to go back already.
. we first visited the Island over 20 years ago and its hardly changed. I think our first visit was about 20 years ago and as you say it’s hardly changed. Perhaps a few more tourists during the summer who have heard about its beauty and superb wildlife.